domestic vehicles for 10 years here in the Spokane area. 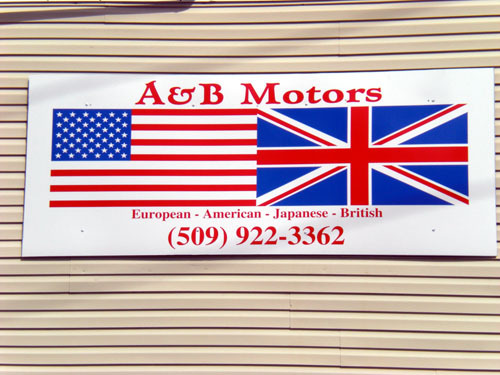 Dave and his staff have 35 years of experience, with a complete line of specialized European certification in automotive repair. Dave is a very meticulous in providing only the best quality service that your vehicle deserves. Always upfront and honest, your mind will rest at ease with your auto or truck in his shop; knowing that he only offers the best prices and maintenance for miles around. A brief history on Dave Beech. Originally from London England, Dave’s first passion was only for European models. In 1982 he relocated his business from Orange, Southern California. Where he only worked on British vehicles. Once in Spokane he expanded his automotive horizons to all makes and models. Even to restoration on a variety of vehicles. Dave does love a challenge.